If you were to make a list of all the advantages of homeschooling, your list would be very long! With homeschooling comes a lot of freedom and the ability to do things that schools just can’t. 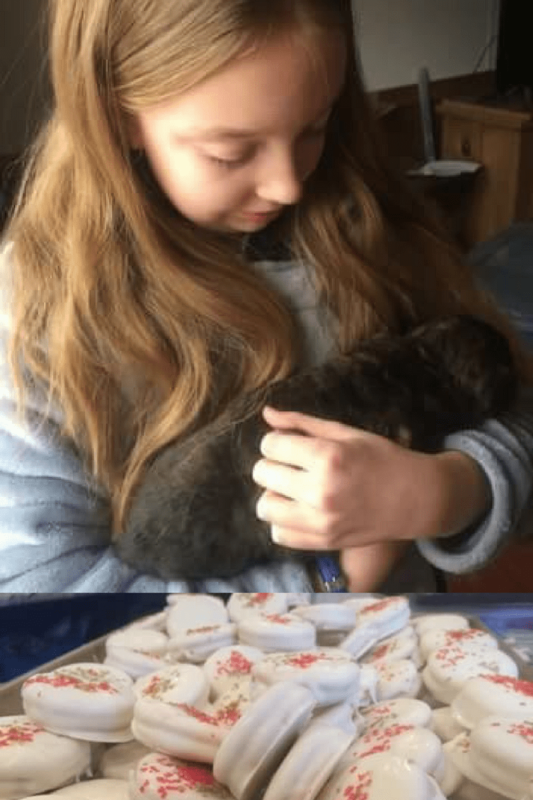 Involving animals in your homeschool is just one of them. Maybe the first reason to do school with a pet is just because it makes it more fun! Can kids in public school do math with a kitten in their hoodie? I don’t think so. 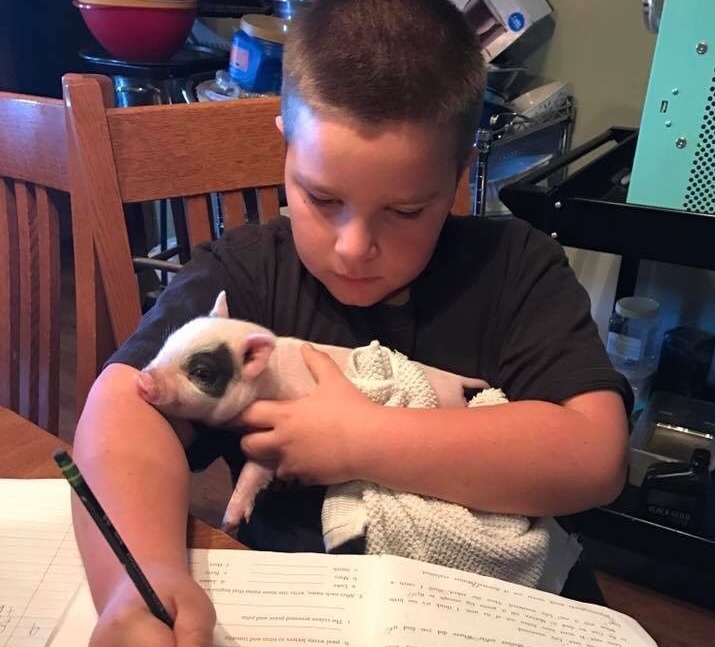 How about language arts while cuddling a piglet? Uh…nope! Reading doesn’t come easily to all children. Sometimes the self-consciousness that results from that struggle makes them reluctant to read aloud. By reading to a pet, they don’t feel the same pressure and might enjoy it more. 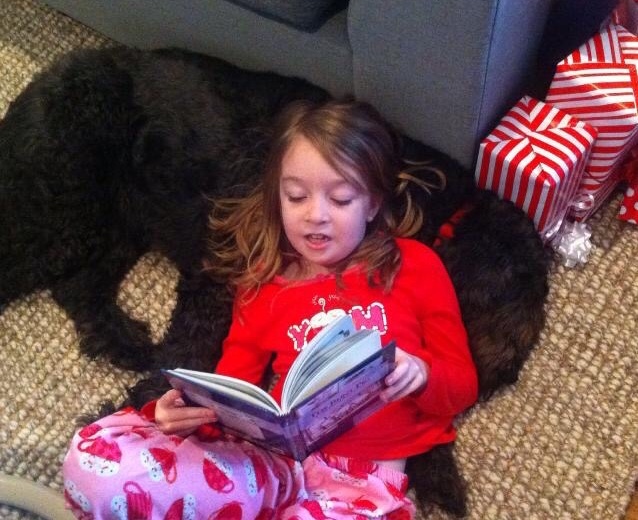 My friend, Melanie, shared this picture of her daughter doing her read aloud time with family dog, Hershey, adding, “My favorite part is that she asks him, ‘What do you want to read today?’ Thus far, he’s pretty open minded as to whatever she chooses.” They look pretty relaxed, alright! There were many occasions when our daughter found animals that needed to be cared for and was motivated to research about their needs. Injured birds, orphaned ‘possums, a raccoon, they all led to self-led animal science lessons. For awhile she thought she wanted to be a wildlife rehabilitator or a marine biologist. 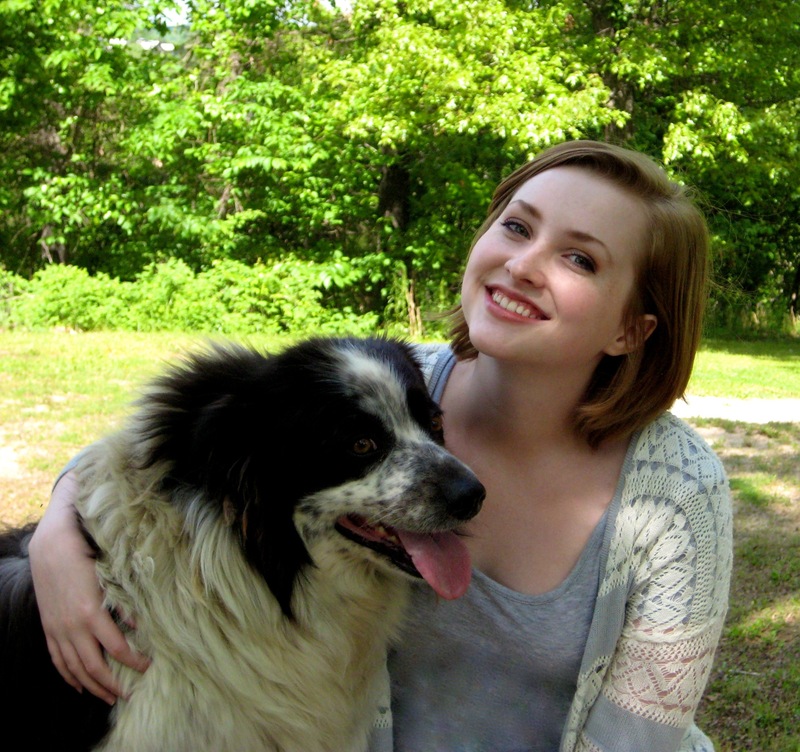 Her love for animals led her to learn a lot about them on her own. Kids who grow up on farms may have the opportunity to raise an even wider variety of animals. Our daughter, Margaret, raised rabbits for awhile. Lucy and Peter had several litters of kits, and she learned responsibility through caring for them. The kids got to experience raising chicks, and our family also had horses, donkeys, and mules for several years. 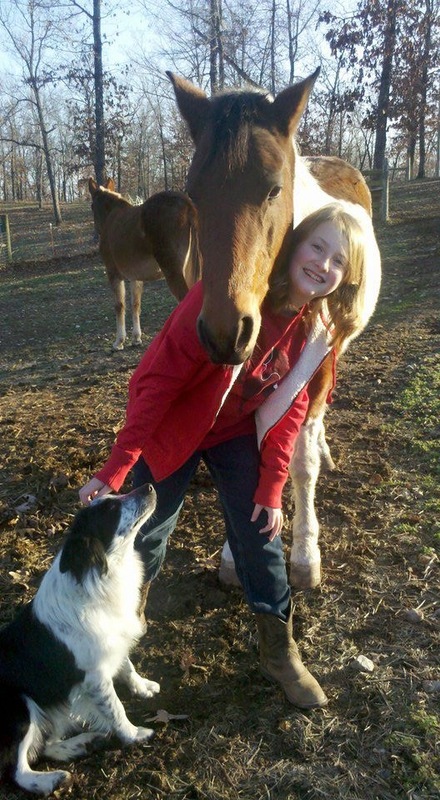 Margaret with her horse, Snickers, and dog, Daisy. Melanie’s daughter, Sophia Grace, wanted a puppy of her own, so her parents made a deal with her, that she could buy one if she earned the money. One of the things she did was to make and sell treats during the holidays. I once read an article about a homeschooled young man who started his own herd of cattle as a teen. By the time he graduated, he had earned a lot of money towards his college education. Homeschool graduation photos can be as unique as your homeschool. As an alternative to the usual cap-and-gown photo, our daughter just wanted some pictures taken at home. Her dog, Daisy, bombed them. 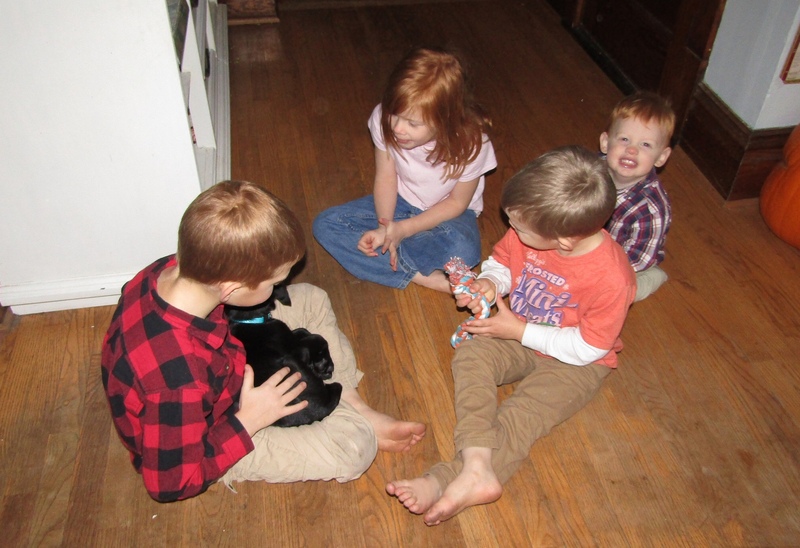 Animals add to our lives in many ways, and it’s the same with our homeschools. Having the company of a beloved pet can make schoolwork more enjoyable, or motivate a struggling reader to practice by reading to a pet. Additionally, they can provide limitless ways to learn about life and science first-hand. Now I’d like to hear your stories! How have animals augmented your homeschool? Great post! One of our boys wanted to raise chickens this past year, and we had him do a lot of extra chores for awhile so he could save up enough money to raise them. They’ll be even more motivated to care for the animals if they have a very personal investment in them! Very true! Good point, thanks for sharing it! I was homeschooled growing up and we lived on an acreage thus we had the opportunity to have pets. My brothers and I all raised sheep for awhile to make extra income and my brothers also raised calves as well. The experience of having horses, rabbits, cats, dogs, goats, sheep, calves, and chickens was such a good experience for all of us, especially learning how to work hard and do chores. Just thinking about this makes me miss living in the country so, so much! I’ve longed to move for years but I can honestly say I don’t know if that is in the cards for my family. It’s hard to “let go” of a dream but I also know that I want to do what God wants more. The only pet we’ve ever had living in town is a goldfish and that is what we currently have right now. I really don’t like the idea of having animals inside my house but I am really beginning to realize how my kids are really missing out on all the experiences of animals I had growing up. Any tips for someone like me? What fun photos, Michelle. Our daughter spent endless hours reading about horse training and then working with her horse. She also loved reading anything about them, so we had an endless reading list for her. Thanks for sharing that! I know, first-hand, that there’s a lot to learn about them! we have so many animals around here… It’s amazing, cats to read with, budgies to talk to, mice to put in a pocket. Good stuff having animals around. It’s nice that your cat, birds, and mice, can all co-habitate. Thank you for sharing your menagerie with us.